As South Africans watched with frustration and amazement this week as the British Parliament muddled through another late night of debates and votes on Brexit, there was one person on Sky News who spoke some sense. Firstly, for us in the ‘colonies’, as the British often refer to those who live in South Africa, and elsewhere where the British used to rule, the business in British Parliament is very foreign. When it comes to Brexit, it is not only foreign, but very confusing. Age-old traditions which at times seems out of touch with the modern day’s fast world. However, it is perhaps the world’s oldest democracy and one should have respect for these ‘old’ systems. We have our own eruptions in South Africa’s Parliament, but since former President Zuma departed, things have been a bit calmer. Mind you, the next few months will be testy as the election approaches. Julius Malema and his red overall brigade will do what they can do attract attention. South Africans have a huge interest in what is happening with Brexit. The South African fruit industry has been exporting to Britain for more than 125 years. Decisions made in the British Parliament, and for that matter in the corridors of Brussels where the European Council rule, are indeed important. It was revealed this week that the trade with Britain, mainly fruit and wine, from the Cape region, is worth around R11bn. So the pressure is mounting on the South African industry as the end of March approaches. Brexit is expected to be the single most important matter on the minds of the South African contingent at Fruit Logistica next week. Exports are based on a complex set of rules and regulations, phytosanitary requirements, food safety regulations, ethical trading issues and finally also trade agreements. On top of this there is the fact that fruit is a very perishable product – it has to get to the consumer quickly to be of value. From South Africa, with some of our growing regions located 1,500km from the ports, it is very challenging. There is also the shipping time of at least two weeks to Europe which has to be dealt with. In all these things together lies the danger for South African exporters. If things that have been fine-tuned over years suddenly change or become more complex because of Brexit, we have trouble. Enter the formidable frame of Lord Digby Jones. “It is in the interest of the EU to have an agreement – they do not want a no-deal,” said the gruff voice of Lord Digby Jones. “What do you think Macron will do if the French fruit growers descend on Paris with their tractors to dump the fruit on the Champs Elysées which they cannot get to the UK,” asked the lord. 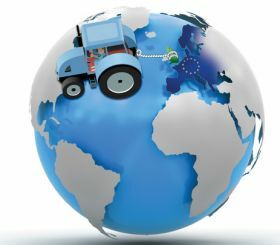 Here is the real point – European producers have always exercised huge pressure on the politicians in Brussels. Spanish growers are reported to export some 11m tonnes of produce annually to the lucrative consumer market of the UK. Their trucks run every night from the Spanish growing regions, across France and through the Channel Tunnel to be off-loaded the next day at British supermarkets. It is almost inconceivable that the tunnel which was built to promote free trade and movement of goods could now become a barrier slowing down or restricting trade. It will take a few brave men in Brussels to stand in the way of French and Spanish producers. In both Spain and France nationalism – the same kind of thing that gave rise to the British yearning to be free – is on the rise. Lord Digby Jones, flashy yellow tie and all, had a point. Could it be that realism will win in the end - to ensure that the departure of the UK at the end of March does not cause too much disruption? South Africans, despite their desire to start talking and to set up new deals, can only watch from the sidelines. This is the battle of the English Channel, it is not about us. They need to fit in with what they are left with when the end March arrives.